Is it Possible to Play 2 Notes at Once on the Flute? That's a really good question. The answer is YES and NO. Haha, I know. Funny answer! 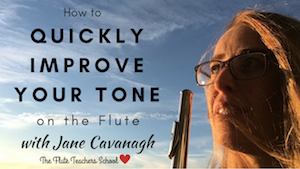 In this video, I explain more, plus show you my two favourite "multiphonics", so that you can have your own party trick of playing 2 notes at the same time!